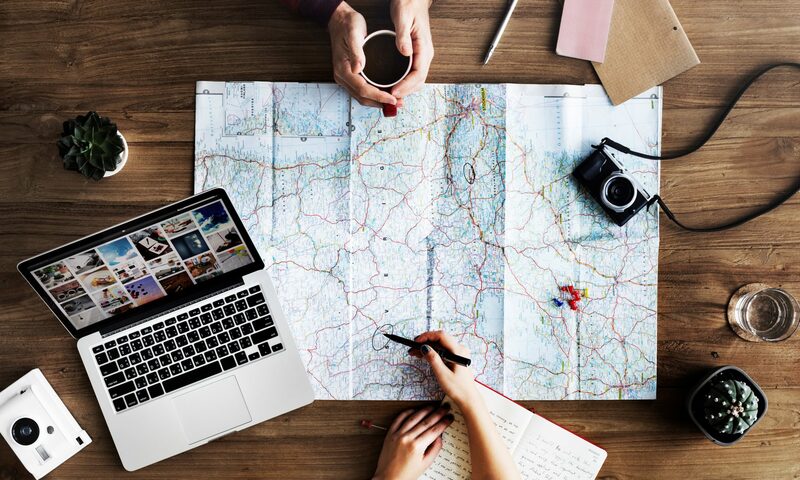 There is not enough space in your suitcase for all the items you want to pack? Don’t worry! With the right techniques and hacks, you will not run out of space! On top of that you won’t have a crumpled mess inside your suitcase. By rolling clothes don’t only save suitcase space, but also the clothes won’t crease. As they are compressed to one piece, it will be much easier to access the items you want without causing a mess. With a vacuum / compression bag you can remove air from your suitcase. Depending on the kind of bag you do this by either closing and then rolling it or by stuffing it with more items as long as there is enough space to close the bag. Besides saving space, the great advantage is that with bags in general, get more order into the suitcase. I bought my first vacuums bags during a backpacking trip in Japan. They were my biggest game-changer for space management. After a few trips I upgraded from those plastic bag like vacuum bags to the packing cubes by Eagle Creek. I have been travelling with them for more than a year now. Every single time I pack with them I am surprised how much fits into them. Find those compression cubes on on Amazon.com. Hiking boots, umbrellas, rackets, helmets. These are items that use a lot space in your suitcase. Say no to them. You won’t be the only traveler at your destination who decided not to bring his sun umbrella to the beaches of Mexico. That is exactly why there are rental stations but also shops for all kind of items at your destination. When filling your suitcase with the items you want to pack, see it as a pyramid. In the bottom you put big and bulky items like shoes, sport items, or bulky clothes like a hoodie or a pair of jeans. On the next layer you put your bags, including your vacuum bags and other clothes. For the top layer you need to make sure that you put all the items for your your first night. For me this includes sleepwear, fresh underwear and my toilet bag. The bottles of shampoos, shower gels, perfumes or toothpaste are a waste of space in your suitcase. It’s obvious that you don’t need half a liter of shampoo during your one week trip. There is a solution for this: In the one hand you could use trial sizes of shampoos, gels and toothpastes. You can either buy those in stores, or get them for free as a give-away from a shop, magazine or your dentist. In the other hand you could use refillable travel bottles and fill them with the gel of your choice. Nice advantage for airplane-travellers: Due to security restrictions you are only allowed to have 1 liter of liquids in your carry-on on airplanes. Each container of liquid is allowed to have only 100 ml. With travel-sized bottles you don’t need to worry about this restriction. 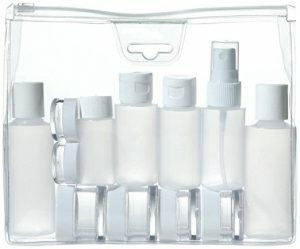 The travel bottle set of the picture you find on Amazon.com. 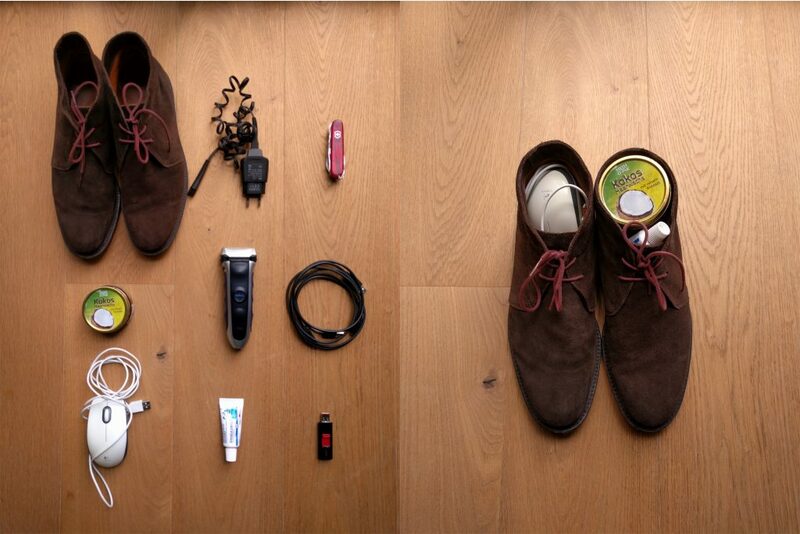 There is a bunch of tiny items you pack like socks, belts, cables, tissues, and chargers. But there is also items that consume quite a lot of space but can’t be compressed. Shoes for example. You can use the empty space inside them for small items. As a result the items are stored in a nice way. Be creative and find and fill these empty spaces. You have ironed clothes on your packing list like a formal shirt, suit, dress or blouse? Arriving at your destination they should be in shape? You could roll them, but this won’t work for a suit or long dress. Play it safe and protect them in a garment bag. 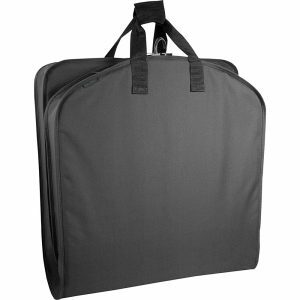 There is garment bags specifically for the needs of travelers like you. Most of them you can be taken as carry-on luggage. The garment bag on the picture you find on Amazon.com. 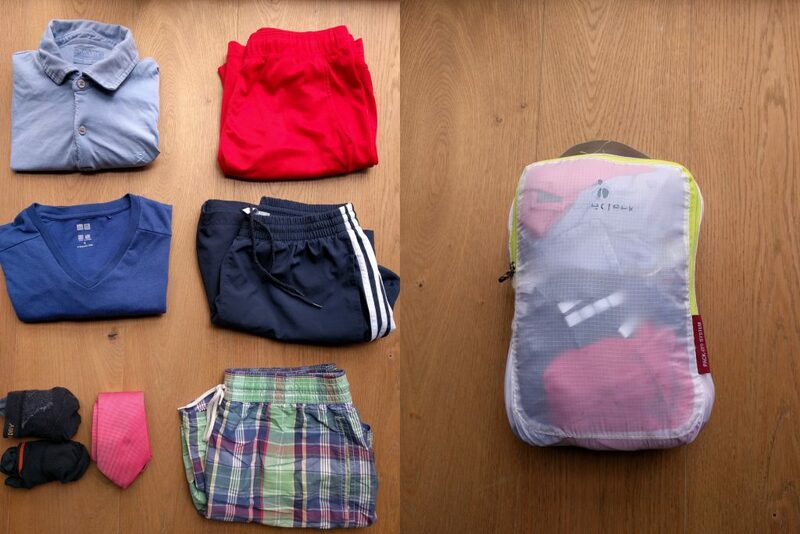 It’s very simple to say: “Pack less”. However the execution of this word is hard if you don’t know how. When I am packing and brainstorming what to pack I pay attention to the phrase “in case”. If I say so this means that I will not necessarily need the item. Example: “In case you need hiking boots” actually means that you might go hiking during your trip once. Is it worth taking those boots? No. Did you pack any other pair of shoes that you can use for this hike instead? Probably yes. Pay attention to your thoughts and you will realize that you will need many items just in case. Please don’t get me wrong. There is many reasons to become sick during a travel and it is always good to be prepared. No question! But if you start packing all the medicine you own into your suitcase, just in case, then you probably plan to become sick. I have good news for you. There is pharmacies all around the world and they sell the same or similar medicine as you can buy it at home. Even in tropical places where there is tropical diseases like Dengue fever you don’t need to worry. Pharmacies there have not only have better knowledge about the diseases and the needed therapy but also better medicine at a better price than at home.